A Kid Discovered Lost Mayan City By Following His Own BRILLIANT Theory! William Gadoury, 15, has discovered a hidden Mayan city solely by following his own theory about ancient cities being linked with position of certain stars. The teenager from Quebec received accolades by NASA, the Canadian Space Agency and the Japanese Space Agency, and his discovery is about to be disseminated in a scientific journal. Passionate about the lost Mayan civilizations for several years, Gadoury analyzed 22 Mayan constellations and realized that if he connected on a map the stars of the constellations, the shape of each corresponded to the position of 117 Mayan cities. No scientist before had ever found such a correlation between the stars and the location of the Mayan cities. Sometimes it takes a child’s mind to see the unseeable. Grown ups, most of the time, are afraid to listen to their own hearts and instincts. They lean on to facts, certainty, policies and laws. A child has more confidence in that context. That’s one of the main reasons why children can sometimes be the key to solving problems grown ups can’t. William discovered something strange while analyzing his 23rd constellation. It contained three stars and only two cities matched. According to his theory, it should point to a 118th Mayan city in a remote and inaccessible location near the coast in Belize, in the southern Yucatán Peninsula. 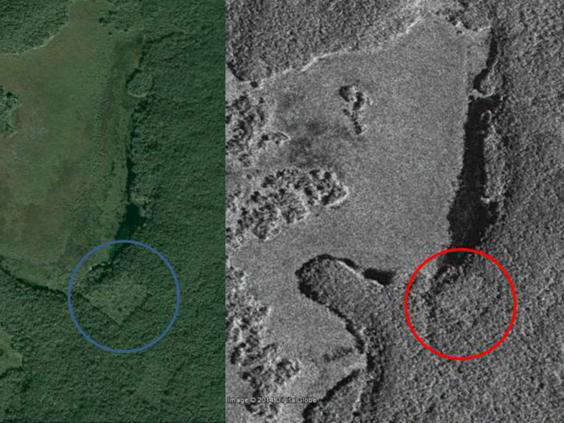 In 2005, the forest in this particular area was devastated by fire, making Mayan ruins more visible to satellite photographs. Analyses from satellites from various space agencies have revealed that there was indeed a pyramid and thirty buildings at the precise location identified by the young man. Not only has he discovered a new Mayan city, but it is one of the five largest on record. “I did not understand why the Maya built their cities away from rivers, on marginal lands and in the mountains,” said Gadoury. “It’s always about money. An expedition costs horribly expensive,” said Dr. Armand LaRocque, of the University of New Brunswick. But archaeologists have promised William to bring him to their excavations. This is the young man’s greatest. “It would be the culmination of my three years of work and the dream of my life,” he said.